Have you ever done a Google search with the phrase “near me” at the end of your search phrase? It’s one of the most popular ways to find a contractor in your region. And when you want to hire an irrigation system contractor, you need to know who is available in your area. You don’t want to hire the first contractor that pops up on a local Google listing. Indeed, you want to go through the list to find at least three contractors to interview. Also, you can look at home service websites, such as Angie’s List or Home Advisor. But buyer beware, there have been complaints that contractors can fudge their own reviews on home service websites. Instead, you need a plan. You need to allot enough time to allow you to find the best contractor to work with you. So, you’ve done the initial research to find contractors near you. Now, you need to check out their Google reviews and scroll through their websites. Take a look at contractors’ galleries on their website to see if they handle sprinkler system installations. 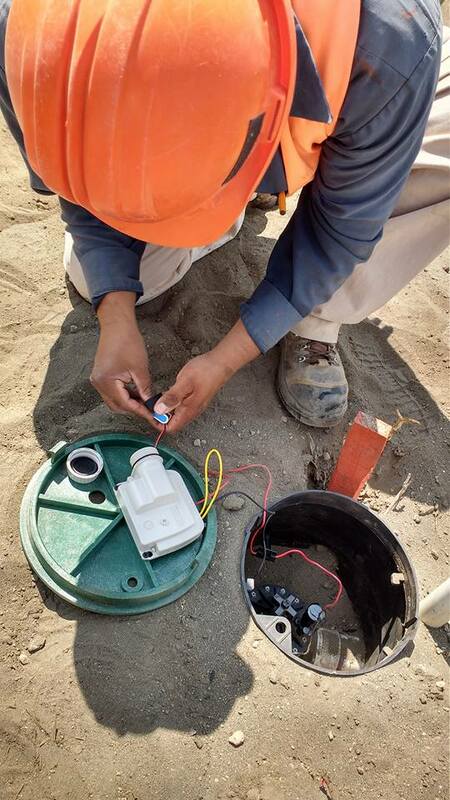 Read your potential contractor’s blogs to see if irrigation is an essential company service. You can do all of the above research, but how do you know which contractor is trustworthy, not overly expensive and will complete the work on your property professionally? 1. Buyer beware: It costs a lot of money to get an irrigation system installed on your property. So, you don’t want to hire just anyone. Instead, you need the time to find and interview potential contractors. You shouldn’t only go by Google or other website customer reviews. Learn more: 10 Reasons Why You Need a K-Rain Sprinkler System. Ask them what insurance they carry, such as personal and property damage, and workers compensation. Make sure the insurance is up-to-date. 3. Ask for references: Your potential contractor should be open to giving you referrals. Again, if there’s any hesitation realize this contractor isn’t for you. 4. Ask your potential sprinkler contractor how long he/she has been in business: You want a contractor that has experience designing and installing lawn and garden sprinklers. 5. Check for qualifications, licensing and certificates: Depending on which state you live in, irrigation contractors may be required to be licensed. However, it’s not a bad idea to make sure your potential contractor has the necessary qualifications and training certificates. 6. Gather estimates: How much does a landscape contractor charge to design and install a lawn sprinkler system? That’s what you need to find out as you interview potential contractors. Also, don’t go for the cheapest—you often get what you pay for. Instead, consider the contractor with an estimate that is in the middle. Read more: How to Know if It’s Time to Upgrade Your Sprinkler System. 7. Down payment dilemma: According to an article by the Federal Trade Commission (FTC), you need to understand your payment options. First, you should never pay in cash. Instead, you should only pay by check or credit card. Second, you should limit the amount you pay in a down payment. The FTC’s article says, “Some state laws limit the amount of money a contractor can request as a down payment.” The article advises readers to check with their state or local consumer agency before exchanging money for services. 8. Written contract: Finally, no work should be done, and no money exchanged until there is a written contract presented to you. Again, the FTC’s article can show you what you’re supposed to look for in a contractor’s written contract. At K-Rain, we have a contractor referral program. Our sprinkler system contractors are vetted and work in your local area. K-Rain’s contractors will listen to your questions and take your property’s needs into account. Our contractors will also provide you with job estimates so you can evaluate who is the best candidate to install your lawn and garden sprinkler. If you’re ready to take the next step and find the best contractor to install your irrigation system, fill out our contractor contact form.